Many organizations already ask their support specialists to specify how much time they spend working on assignments (i.e. requests, problems and tasks). But some organizations have indicated that they would like to be able to capture the rest of the workday as well. They want to know what else people are spending their time on. That is why it is now possible to register time allocations in 4me. 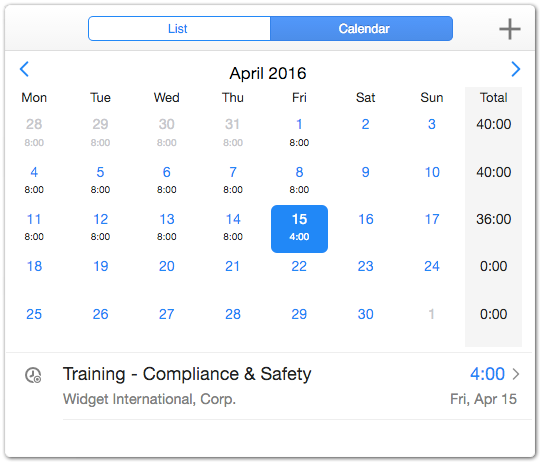 Time allocations are essentially categories that employees can select when they register their time. Account administrators can register time allocations in the ‘Time Allocations’ section of the Settings console. 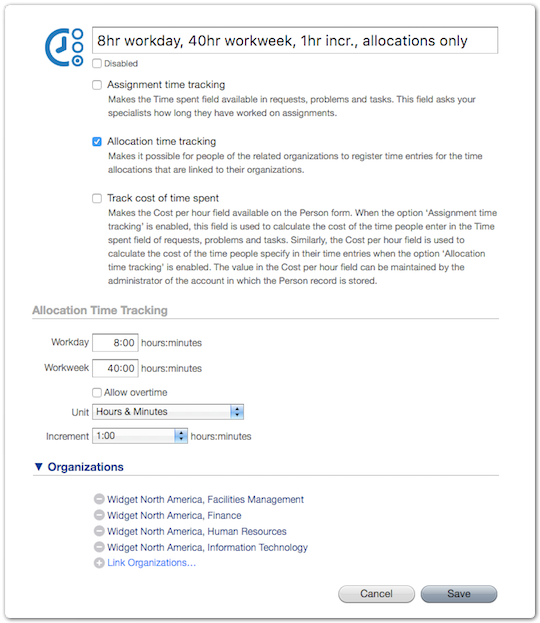 When an organization would like its people to be able to select some of these time allocations, the administrator can enable this feature in the Timesheet Settings record to which the organization is linked. Once the ‘Allocation time tracking’ option has been enabled for an organization, the manager and his/her substitute are able to relate the time allocations that are relevant for their people to this organization. As soon as one or more time allocations have been linked to an organization, the people of this organization are able to register time entries for them. 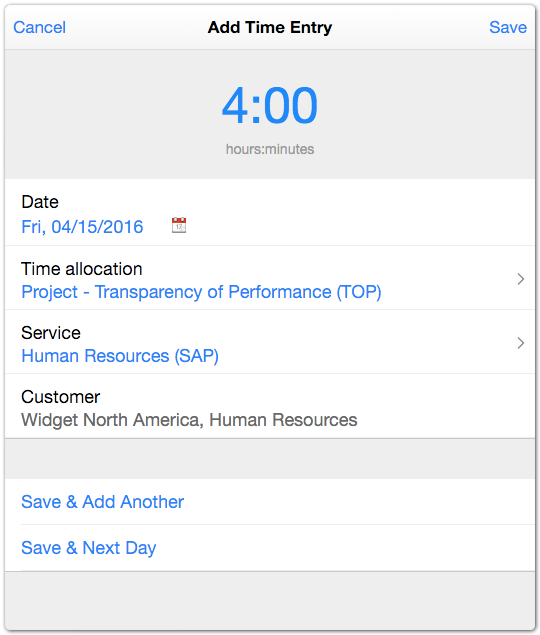 A support specialist can do this in the full UI by clicking on the toolbar button that displays the time that he/she has already spent today. In 4me Self Service and 4me Mobile, users can register time entries by selecting the ‘My Timesheet’ option. 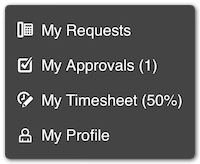 The user’s timesheet pops up when this option is selected. It offers a large ‘plus’ icon in the upper right corner. Pressing the ‘plus’ icon starts the registration of a new time entry. The user is asked to select a time allocation. 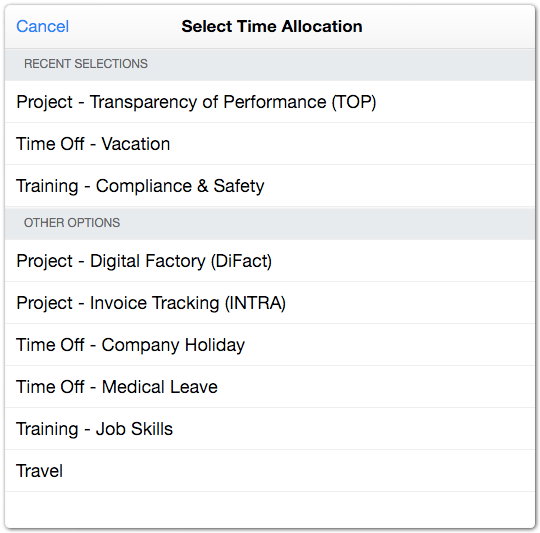 If the time allocation requires the user to select a service and/or customer organization, then the user will be prompted for these. The new time entry is then displayed. The time spent is automatically set to the remaining time for the selected day. If this needs to be adjusted, the user can press the time. 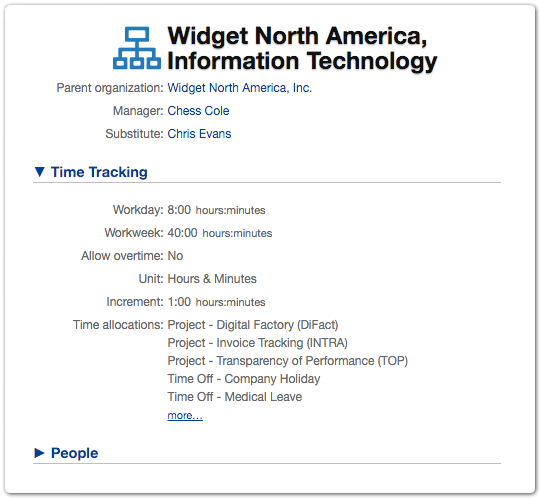 A simple interface, which takes into account the organization’s timesheet settings, subsequently allows the user to adjust the time spent value as needed.